As young musicians passionate about opera and about their hometown, Emily Nelson and Bethany Schweitzer Goshorn thought, "What better place for an Opera on Tap chapter than our fair city known for its beer, wine and cocktail culture?" 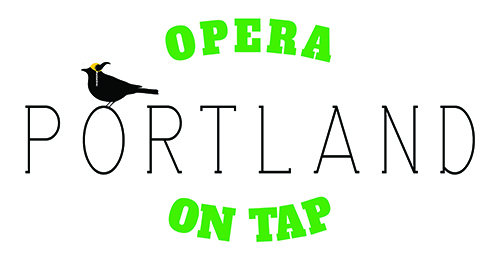 Thus Opera on Tap PDX was born - one of 16 nationwide chapters of Opera on Tap. Northwest native Sadie Gregg joined the Managing Diva team in 2016, after singing with the Boston chapter. Why are we so passionate about opera? Opera speaks to the human condition. It expresses human emotion and relationship in a very unique and profound way. The human voice in all its glory has a visceral effect on us. In a culture focused on instant gratification with short attention spans, opera demands your full attention and rewards you with a wild ride on the emotional roller coaster. Chances are that people who say they don't like opera have never heard it live! Opera on Tap seeks to change this by bringing the genre back to the people in familiar places: community gathering spaces, restaurants, and bars - much how music was historically enjoyed in Germany pubs. We seek to share, educate and bring simply fabulous music to an audience that might not otherwise be able to enjoy the art form. So grab your friends and your favorite pint, and join us for Opera on Tap! Opera on Tap (OOT) was born in 2005 at Freddy's Bar and Backroom in Brooklyn and incorporated in 2007 to promote opera as a viable, living, and progressive art form and to support the developing artists who continue to keep the art form alive. What began as a small monthly gathering of ambitious, classically trained singers looking for more performance opportunities has grown into a producing organization that has gained a loyal audience base and national recognition as an innovative force on the classical music scene. Through its Chapter program, which now has sixteen vibrant national chapters, OOT has created a large network of performers, creators, and supporters.